WRT is an acronym for with respect to. This is internet shorthand for saying "I want to respond to a specific point made earlier in this conversation." WRT is ideal for steering a conversation in the direction you wish to take it. You may also see the same idea reduced to w/r/t or just r/t. (Kristina) I'm just concerned about the weight of all the gear I'll be taking into the field on my hike next weekend. (Sheldon) WRT digital SLR cameras — I think that it's a good idea to own both an SLR and a pocket camera. Keep the SLR locked in the car, and carry the pocket camera in your jacket while you're on your hike. You'll save on weight! (Kristina) That's a good suggestion, considering that pocket cameras are only a hundred bucks and much lighter these days. 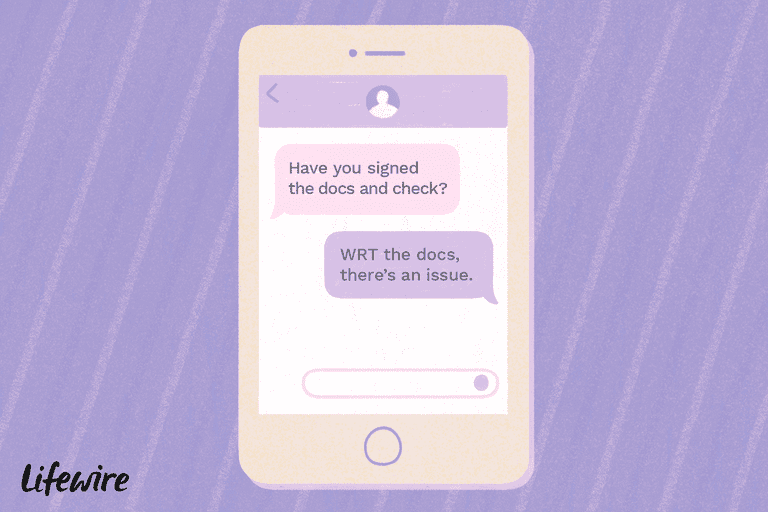 Unlike many internet-focused acronyms and initialisms, WRT is perfectly at home in professional settings. In fact, executives use the term frequently in email subject lines or in the bodies of precise messages. As with any acronym, however, it's usually best to spell out terms instead of relying on initials alone. What Is 'BISLY'? What Does BISLY Mean?